The different tabs are now accessible from the top of the page instead of the bottom left, making it more intuitive to navigate around the different sections of the menu. Besides, "Fixed terminals" are now accessible from the top of the page too. This new filter will allow you to better identify shifts that have never been clocked by your employees. This is useful to prevent any mistake before exporting hours to payroll. By creating or approving a paid multi-day time-of, you will be able to check the days of the week to be accounted for in the hours payout. You can set a minimum number of days notice before an employee can change his availabilities. 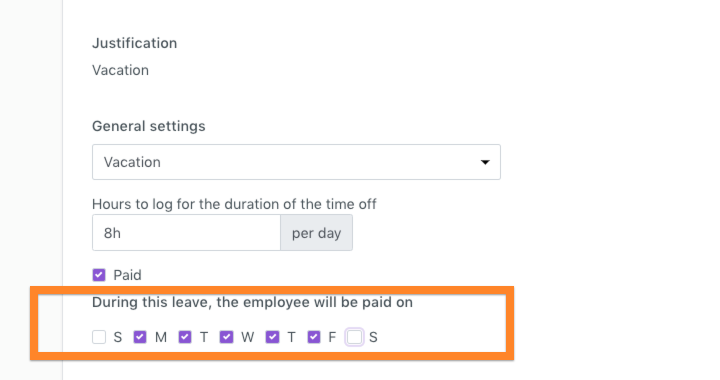 It is accessible in "Settings" ️➡️ "Employee scheduling"
Users with administrator access may change your organization settings. If you have multiple administrators, this log will allow you to track who changed what.